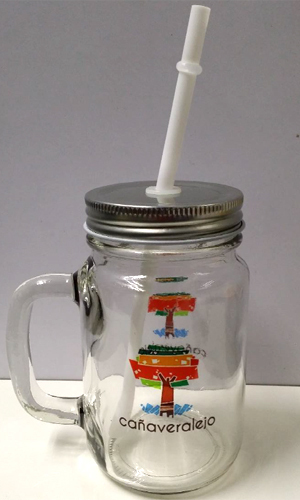 The mason jar is fast becoming the latest trend in serving beverages now. Made of clear glass, it compliments with logos and slogans perfectly. Capacity of 14oz. Each jar comes with a straw. Diameter of 8cm and a height of 13cm.